I had some paypal funds left over from some comic books I sold and I happened to find a 2001 Tony Oliva bobblehead. It's the version that was given away to season ticket holders. Since that year, all the bobbleheads given to season ticket holders had red bases. 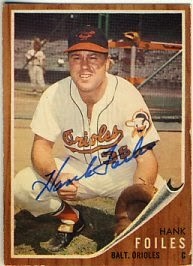 But this year they had green bases, and a slightly different uniform, although the pose is exactly the same. 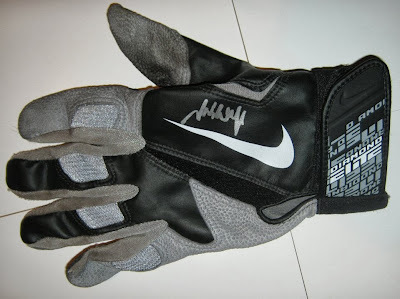 When it arrived, I found that it was autographed! I emailed the seller to make sure it wasn't a mistake. 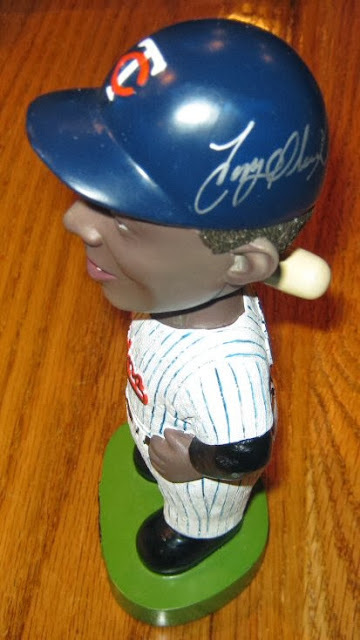 It turns out, it was kind of a mistake, but he doesn't have another bobblehead like this so he was fine with me keeping it. Today I received an eBay purchase from Fan HQ. I bought a signed, game used Josh Willingham batting glove. They also sent me a photo with a matching hologram sticker. 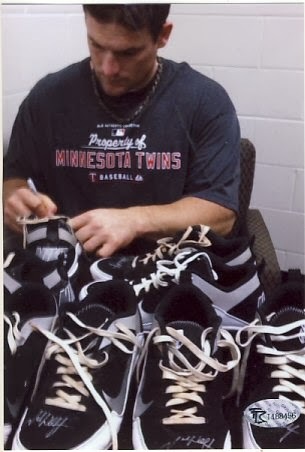 It's odd that the picture is of him signing cleats though. I have quite a few Willingham autographs now, but I still want to have him sign his bobblehead and his 2013 Topps Heritage card. I was out of town for the weekend but came home to one return waiting for me. 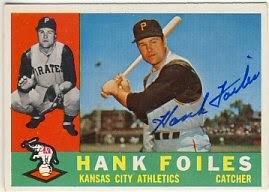 Hank Foiles signed his 1959, 1960 and 1962 Topps for me. 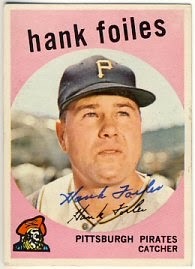 I have very few outstanding requests but bought quite a few cards on eBay to send out. Now I just need to take the time to write the letters. One more return today (another Tuesday return?). 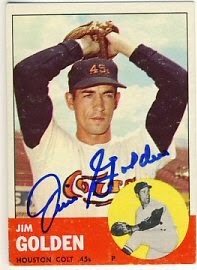 Jim Golden signed a 1963 Topps I sent back in September.